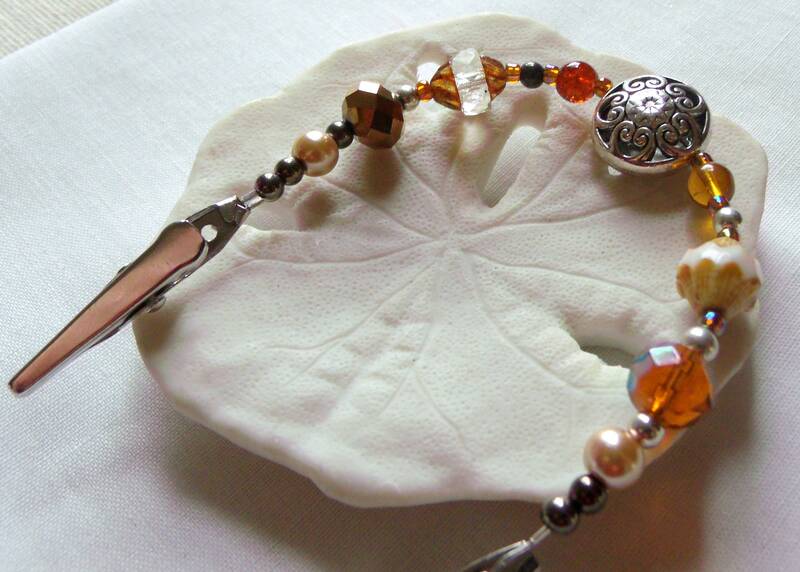 Gorgeous crystals and an openwork silver center bead add jazz to your shawls and sweaters for the fall. 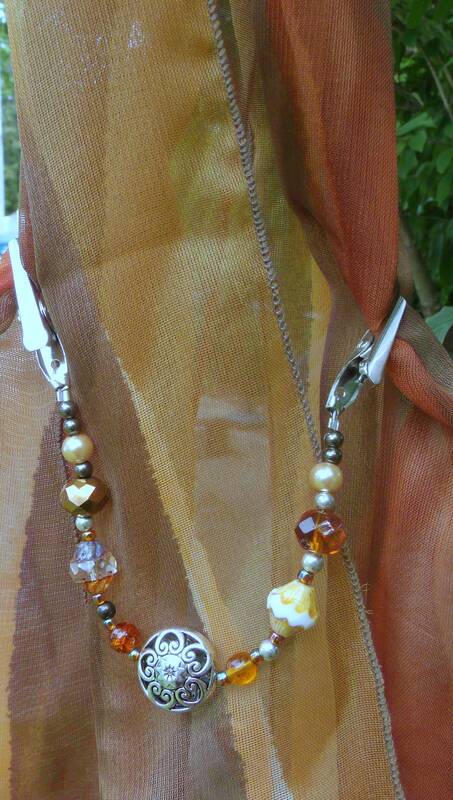 Wonderful add on gift with a beautiful scarf or cardigan . Strung on strong beadalon wire and with stainless steel clips. Great sweater clip. Being “ample” open front cardigans tend to fall to either side of my bust. 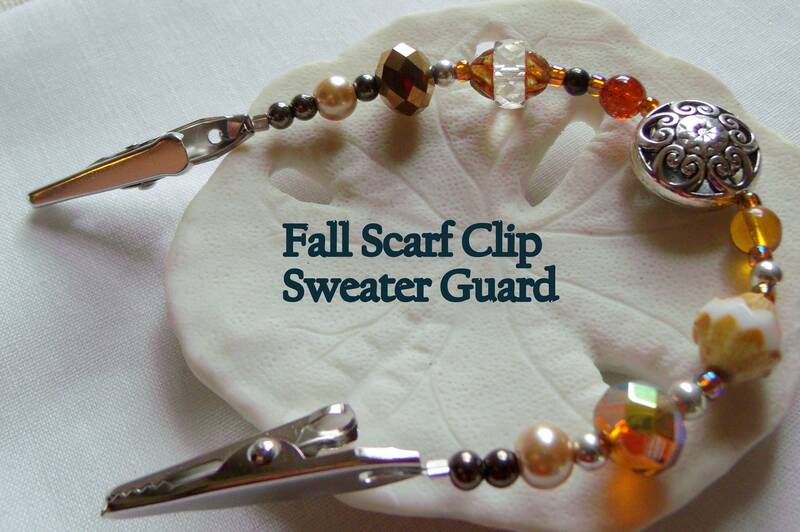 This lovely clip is just the thing to keep the sweater together!